Why Isn’t Australia a Cycling Mecca? 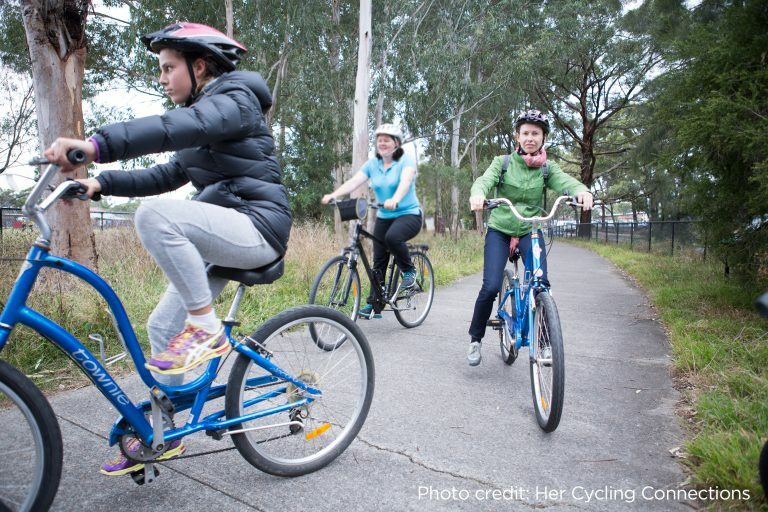 Elizabeth Butterworth and Dorina Pojani of the University of Queensland explored why the five largest Australian cities fall so far short of their bike riding potential. Australia’s largest cities, specifically Sydney, Melbourne, Brisbane, Perth and Adelaide are ideal for cycling. Stable governments, health conscious residents who enjoy being outside, mild climates most of the year make these cities far more ideal for cycling than many in Europe. Unfortunately though only 1% of daily journeys in are taken by bike. If cycling rates were similar to north-western Europe, Australia would save $227 million per annum in health costs, $64 million in traffic congestion costs, and $9 million in greenhouse gas emissions. The barriers from the user perspective to increasing cycling include hills, weather, infrastructure, urban sprawl, and socio-economics. Butterworth and Pojani argue that in order for cycling rates to increase significantly more must be done to address institutional barriers at local and state government levels. These include outdated laws, low budgets for cycling infrastructure, short election cycles, outdated legislation and local resistance to cycling infrastructure being built. The authors call for cycling to be treated as integral to transport planning and for planners to better communicate the benefits of cycling to the public. In inner urban areas, where distances are more manageable, safe cycling routes need to be provided that will attract more people to ride and sufficient budget allocated to make this a reality. People who don’t currently cycle, many women, people on lower incomes, children and elders will not change how they travel to ride on the road. Butterworth and Pojani point out that many of the planners tasked with deciding what ‘good enough’ infrastructure looks like are younger, wealthier and fitter male cyclists who often have less interest in separated infrastructure. The research echoes the position of Bicycle NSW that to achieve a substantial mode shift to bike riding, institutional budgets, attitudes and approaches need to change. To read a full copy of the research click here.